As a bona fide British person, I'm here to announce Prince William's new haircut — the best thing the royal family has done this year, last year, and probably next year, too. The Prince has been noticeably balding for the past couple of years, and it would appear he wanted to make the fact more obvious, just in case you hadn't noticed. This closely-cropped cut has taken social media's attention away from Kate Middleton and her barely-there bangs for arguably the first time in history, hopefully meaning that we're one step closer to gender equality. You know, a time when men also get their haircuts in the headlines and mocked on Twitter just as frequently as the ladies (even if you're a member of an arguably outdated and unnecessary monarchy system). Of course, the royal family isn't all bad. These photos and the Prince's hair stylist only prove that the royals are worth all the free money they get, if only for the pure joy the public receives when one of them makes a bad decision. Making his thinning hair all the more noticeable only helps make Prince William and his family seem like real, relatable humans. Perhaps it's even a well-timed publicity stunt, to help improve the royal family's often poor public image here in the United Kingdom. More likely, it's a bad decision that Prince William is already regretting. 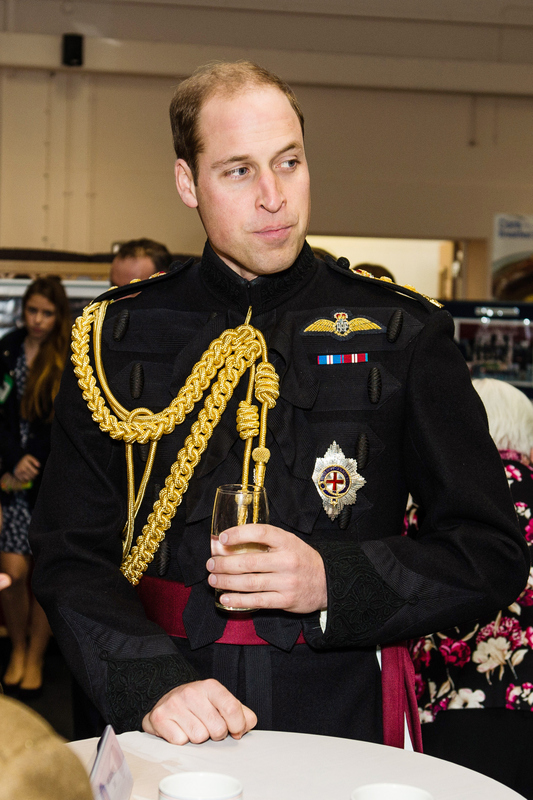 In the happy world of my imagination, I'm totally pretending that Prince William went into the barber shop expecting to come out looking like Bruce Willis. Perhaps his goal was for everyone to contentedly forget how bald he is, to instead admire how "ruggedly handsome" he can be. Instead, he looks like what I imagine Donald Trump is hiding underneath those hamster helmet toupees. As with any famous person making a mistake of sorts, the Internet is thoroughly enjoying this new look of William's. Although the public debut of his new cut only happened today, I can't wait to examine the haircut from every angle through my Twitter followers. Coming from a person who's had to wait out a lot of poor hair decisions, I'm looking forward to at least a couple of weeks of enjoyment from the prince's haircut. If his royal highness decides to go for the ever-popular "hide it under a hat" method, the entire world will miss out on a joy that's needed in these dark and desperate times. So if you're reading this, Prince William, please make as many public appearances as possible with your new 'do and feel content that you're doing something to brighten up the winter months ahead.